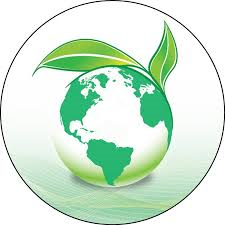 Home Sustainability, Environment and our Business What is Sustainability ? We see a lot of people and companies talking about Sustainability and often not many people actually talking about what it is and what it means. Sustainability is the ability to maintain or uphold and not allow depletion or decrease of a certain rate or level of something. This something could range from a little thing such as sustaining the continuous movement of a wheel on a bicycle, to sustaining the population of a species on earth. There are numerous examples that we have seen given through history from the ability to record accurate weather to controlling the human population. Sustainability of something, be it a process, product or life enables things to continue and gives endurance to it thus enabling it to be there in the future the same way. So how does this relate to the environment when it is a changing world that we live in? By having things that are sustainable we are able to use this as a measure of change against which we can then make decisions. It helps us to grow our understanding of what works and what doesn’t and how our actions impact different situations and how changes can improve or diminish expected results in given situations. It is not always straightforward and often change can be affected not just by what we change but by other factors which are then affecting the change. These factors are sometimes not even realised until after a change has occurred. So sustainability is keeping things, people or process the same so no change occurs. Will this be the definition we have in the future? Environmentally friendly, healthy pets, Marine Life, MSC certification, Sustainability. Bookmark.